Bright Turquoise Polka Dot Korker Hair Bow! Perfect for all your outfits! Korker Bows look great above pony tails, holding back bangs, or get two for pig tails!! 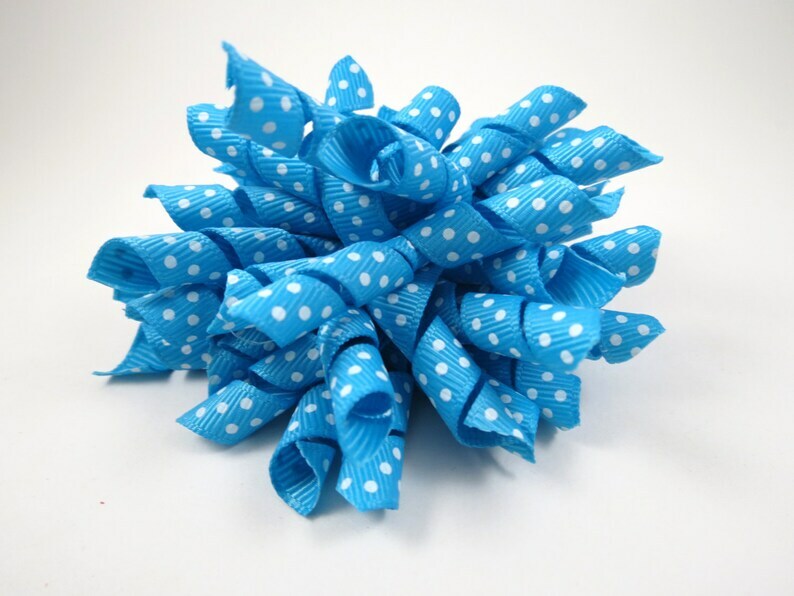 Korker Hair Bow is made from several strands of korker in turquoise with white polka dots! All ends have been sealed to prevent fraying and maintain korker for many years to come! Hair Clip is attached to a partially lined alligator clip. Clip measures approximately 3 1/2" - 3 3/4" in size. OPTIONS: Please select your choice during checkout.